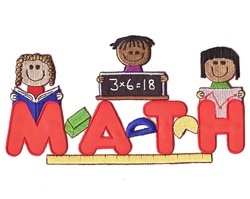 Everyday Math is a fast-paced Math program that has been adopted district wide in the Milford Public Schools. The program is based on spiraling concepts, so each skill taught is revisited in a later unit. Everyday Math also encourages playing games to reinforce concepts learned throughout the year and to make learning a hands-on experience. Your child will be taught multiple ways to arrive at one answer, so that he/she has the knowledge to solve a problem with more than one method. Students will also be given study links and review math sheets Monday through Thursday. These sheets will practice a variety of basic skills and concepts being taught in class. Students should also be studying their math facts each week. It is extremely important that students have a solid grasp of these facts.